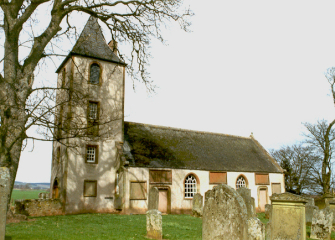 Polwarth Parish Church is located in the countryside. 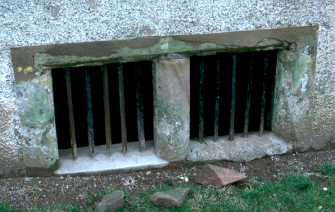 Patrick Hume of Polwarth Castle was a Covenanter who had to hide from the authorities. For one month in 1684 he had to hide in the family burial vault adjoining Polwarth Church. His daughter, Grizel Hume, would travel the mile from Polwarth Castle to the vault under cover of darkness each night to bring him food and news. Hume escaped to the Nethrlands. He returned to Scotland at the Revolution and became Lord Polwarth in 1690. He was created Earl of Marchmont in 1697. He died in 1724 aged 83. Grizel Hume married on 16 September 1692 to George Baillie, son of Robert Baillie of Jerviston (Covenanting martyr). Baillie died in 1738 and Grizel died on 6 December 1746 aged 80.